As another day passed into memory the men of the Nightstalker Battalion gathered together to pay their final respects to SSG Alfredo B. Silva. In this world of growing shadows SSG Silva burned as bright as the morning star. Chamuco’s resplendent inner fire and fierce love for his men were beyond earthly measure – he was the stalwart lighthouse whose radiance ensured others could navigate these troubled waters. I wish with all my heart I had the ability to properly memorialize SSG Silva, but any words I could weave would be but a hollow echo of our fallen hero. Instead I will include part of 1LT Irish’s final respects. How do you summarize a life of an individual? That is what I have been asked to do here today. It is impossible for anyone to do justice to a lifetime in a few moments. Every individual is something to someone. To your mother you are always her baby, and to your child you are always a parent. Time will not and cannot change those things. I cannot be so presumptuous as to speak to what SGT Silva was like prior to the time I met him. Nor can I speak as to how he was viewed by his family, for unfortunately fate did not allow me the chance to meet them. Instead I will speak to you about the man that I knew and loved as a comrade in arms. The last memory I will share with you is from about a week ago. I was in the S7 office and Chamuco walked in and shook my hand. I could tell by looking at him that something was the matter. He seemed a little bit sad. I asked him what was going on. He told me that he was worried because he felt his time was up. I told him that I understood how he felt. He smiled and said that he wasn’t worried about himself; he was worried for his guys. He said it’s all just a matter of time until we get it. That worried me, and I tried to assure him that everything was going to be alright. I guess he knew better than I.
I know that in my heart SGT Silva would have done anything to prevent his soldiers from getting hurt. These men were not just his soldiers they were his friends. Those of you who have been around FISTER’s know that it we are a tight knit community. Even by our standards, Delta was tighter than most. I dare say that SGT Silva viewed his soldiers as his own children. He wanted nothing but the best for them. He was willing to go out even after he felt that his own death was imminent. He was willing to lay down his own life for those men. So what can I say further? There is nothing left. SGT Silva was a man who walked uprightly before all. He conducted himself bravely as a soldier and nobly as a Non-Commissioned Officer. He died as an NCO leading his men. He would have wished that things were different and that he would be going home to see his wife and family. But I believe that he also would be grateful that it was he who died rather than one of his boys. So SGT Silva until we fall in for that last roll call before the Gates of Heaven you will remain in our hearts and in our prayers. SSG Silva was the living embodiment of an Army NCO, but he was more then just a collection of diamond hard skills. He was a good and honest man, and his heart burned with an unyielding love for his wife, his daughter, and for his soldiers. And he in turn was loved by all who had the good fortune of knowing him. God Speed SSG Silva, your light will ever burn in the hearts of the Nightstalkers. http://thunder6.typepad.com/ If you have any interest in reading about the calibre of the men and women who stand in harms way to save democracy and freedom for those of us in the Western World who are under the threat thatt is Islamo-Fascism, your should be reading Thunder6. I started this blog a year ago because I came across the most amazing blog called 'My War' subtitled Fear and loathing in Iraq. The blog was written by CBFTW; the first two letters stand for his name and it doesn't take much imagination to figure out the other three. The reason I started the blog is because that was the only way to post a comment at My War. His writng was very much Gonzo style stream of conciousness; graphic and compelling. This remarkable man became famous in the media as a wartime ground breaker. He finally shut down the blog because it was interfering with his job as a machine gunner in the Stryker Brigade in Mousul. My favorite post was one he called Men in Black. I was actually sweating after reading it. He also forced the Pentagon to look at this new military phenomenon and finally set some ground rules for Soldiers blogging from a war zone. over there, it really did helped me alot when I was over there. The guy is a class act. Now to get the book. I was made aware of this on the blog of SGT Steven Kiel, whose tour of duty is coming to an end in Iraq. SGT. Kiel and his wife have done a great deal of work to get relief supplies to Iraqis, especially Iraqi children, so I found this item to be quite touching. 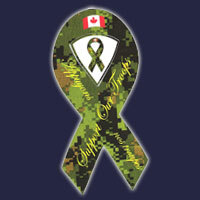 You can contact Sgt Kiel at: http://www.stevenkiel.blogspot.com/ He's a remarkable young man. Iraqi soldiers collected 1,000,000 Iraqi dinars for victims of Hurricane Katrina. TAJI, Iraq, Sept. 9, 2005 — Iraqi soldiers serving at Taji military base collected 1,000,000 Iraqi dinars for victims of Hurricane Katrina.Iraqi Col. Abbas Fadhil, Iraqi base commander, presented the money to U.S. Col. Paul D. Linkenhoker, Taji Coalition base commander, at a Sept. 5 staff meeting. "We are all brothers. When one suffers tragedy, we all suffer their pain." The amount of money is small in American dollars - roughly $680 - but it represents a huge act of compassion from Iraqi soldiers to their American counterparts, said U.S. Army Maj. Michael Goyne. “I was overwhelmed by the amount of their generosity,” Goyne said. “I was proud and happy to know Col. Abbas, his officers, NCOs and fellow soldiers. That amount represents a month’s salary for most of those soldiers.”Abbas read a letter he wrote after giving the envelope to Linkenhoker. "I am Colonel Abbas Fadhil; Tadji Military Base Commander,” Abbas wrote. “On behalf of myself and all the People of Tadji Military Base; I would like to console the American People and Government for getting this horrible disaster. So we would like to donate 1.000.000 Iraqi Dinars to help the government and the People also I would like to console all the ASTs who helped us rebuilding our country and our Army. We appreciate the American's help and support. Thank you."